I love these quick and fun Willoughby Close novels. Trying circumstances send a person to Willoughby Close to rent a cottage on manor property. The person grows in various ways, gets a hand up if necessary, chooses a direction, and makes their life the best they can. Kiss Me is Ava’s story… and boy howdy does she need a cottage to live in after her rich husband dies and leaves her with next to nothing, not even one of their several homes. 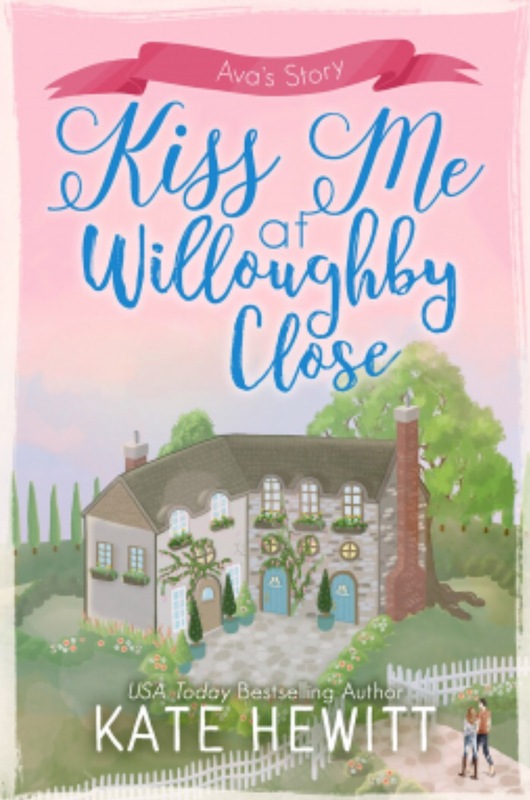 At Willoughby Close, Ava learns how to interact with people on a friendly and neighborly level, reach out when someone needs help, and show her true colors instead of putting on a façade. Ava finds more than just her strength at Willoughby… she also finds the handsome and sensitive alpha groundskeeper, throwing a wrench into all her plans to be independent. While Ava is surrounded by good people who want to help her, she does plenty of helping herself — and even taking the time for a young woman who could use a break. I love that Hewitt focuses on second chances, and it’s uplifting to see good people making something positive out of those chances.